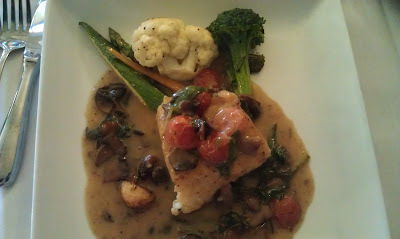 Just mention "Chianti" to me and I begin to drool. The region, the food, the wine, the people. I'm not sure there's anything I don't like about it. 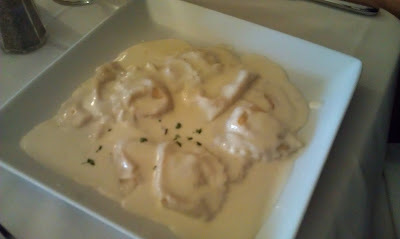 If I can't go to Italy, then Chianti in the DTC is the next best thing (or the sister restaurant, Venice). Chianti is one of my favorite Italian restaurants in Denver. The waitstaff are excellent (love their accents), the dining room is intimate and everything I've ever had there is lovingly prepared and absolutely delicious. 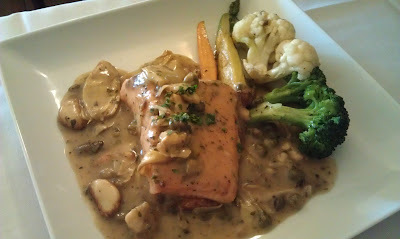 In fact, one of Shannon's favorite dishes in town is the Chicken Cacciatore. 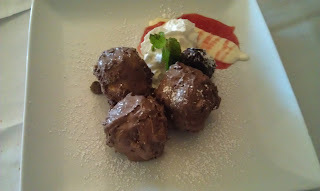 Profiteroles covered in chocolate mousse... INCREDIBLE!!! 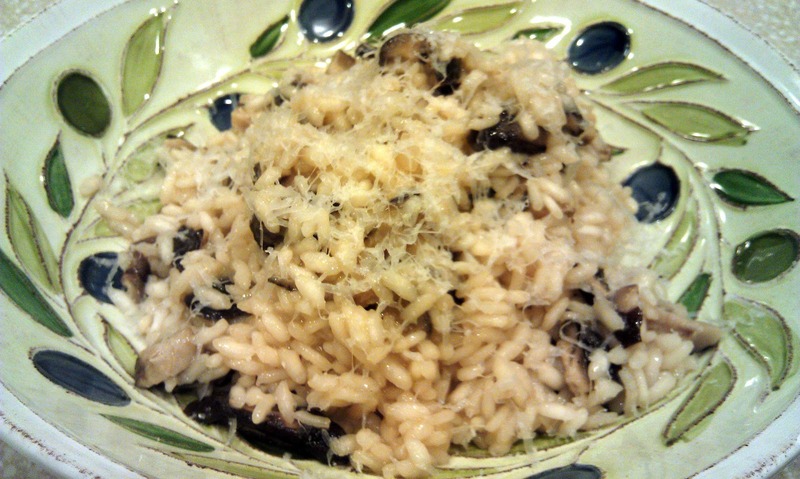 On many occasions, I've mentioned to someone that I'm making risotto and they have two reactions... "mmmmm, that sounds good" usually followed by "I wish I knew how to make it". I was a little intimidated when I first tried making it, but it's really very easy. The only thing it really needs is attention. Not even constant attention, just a stir or two every couple minutes. You can be cooking something else while you're doing this. I've sauteed the shallots, rice and wine and have added my first ladle of stock. Add more stock when it looks like this! Warm 4 cups of the stock and keep warm with a ladle at the ready. Turn pan up to medium-high. Add rice and stir for ~1 minute or until you can see the “eye” of the rice and rest of it is translucent. Add wine and reduce for 1-2 minutes. Add a ladle or two of the stock and stir. Cook for 1-2 minutes. 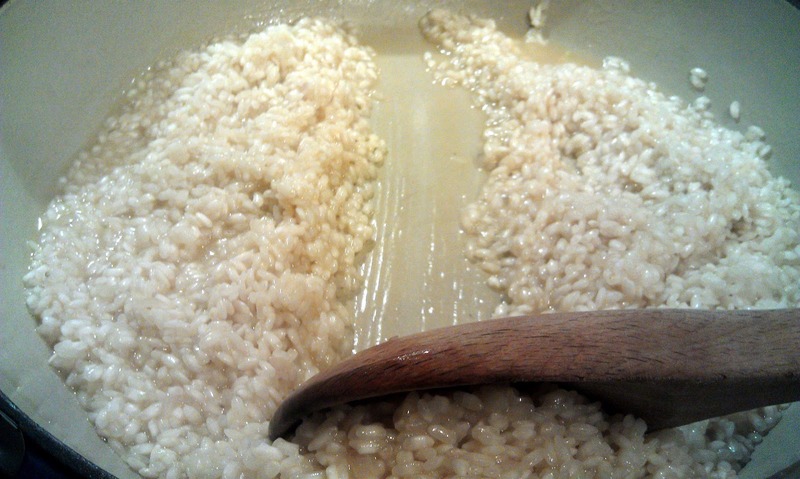 Using the wooden spoon, push some of the rice back. If the pan looks almost dry add another ladle of stock. 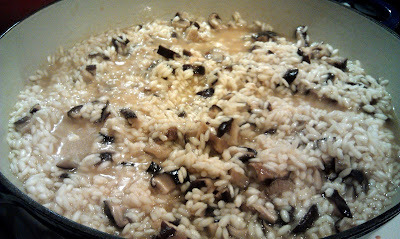 If the pan still has liquid showing, wait another 30 seconds or so and then add the stock and stir. Continue adding stock, one ladle at a time and stir. 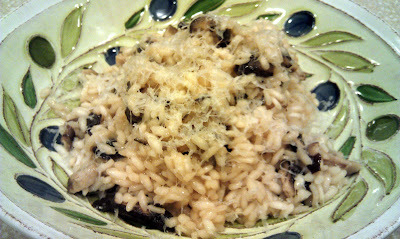 When the rice is close to done (starting to puff up but still too hard), add your mushrooms or other choice of vegetable or meat (pre-cooked). 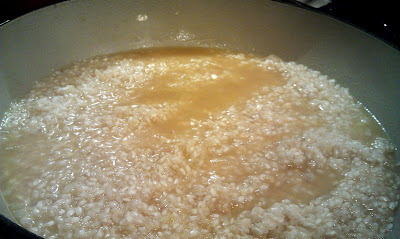 Continue adding stock (and stirring) until the rice is tender, with just a touch of bite too it (al dente). Serve in pasta bowls and sprinkle with grated cheese. 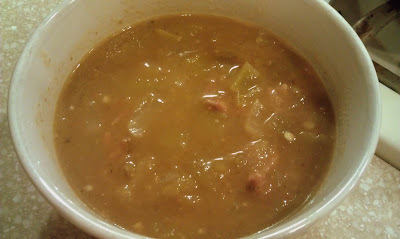 I love green chili. It's comfort food for me. The spicy, savory broth. The hunks of juicy pork. Mmmmmm. So a few months ago I thought I would cook up a batch. I checked my usual spots (Bon Appetit, Food Network, Google) and found that most of the recipes out there were worthless. How did I know that? Not sure, but I knew I wasn't getting excited about any of them. So I did the next logical thing and posted a request on Facebook. I ended up getting a great recipe from a fellow foodie (thanks Justin!) and tweaked it just a bit for my own tastes. -- Green chili is all about personal preference, so use whatever chilis you like. -- My version would probably be considered "medium" heat for most people, so adjust accordingly. -- I've made this twice now and there's a HUGE difference between using the skin from the roasted chilis and peeling all the skin off and only using the "meat" of the chili. If you like a really rich chili, use all the skins. If you like a more approachable chili, use just the meat. Either way, it will have lots of flavor. -- This last time I used the frozen bag of roasted/peeled/seeded mild green hatch chilis from Costco and they worked well, but would probably want more roasted skin next time. Hey, what are you gonna do in the middle of winter?! 1. Smoke the pork shoulder ~2.5-3 hours at ~220 degrees on the Egg. 3. Meanwhile, roast the tomatoes, tomatillos, jalapenos and Anaheims on the Egg. Remove most of the skin and seeds. Puree, along with the hatch chilies. 4. Lightly caramelize the onions and garlic in olive oil. 5. Remove onions and garlic. Melt butter and add flour to make roux. 6. Add braising liquid and pureed veggies. 8. Add additional premade roux, if necessary, to thicken. 9. Add seasonings as needed. 10. Add 8-10 drops of fish sauce and then season with salt (if necessary) and pepper.